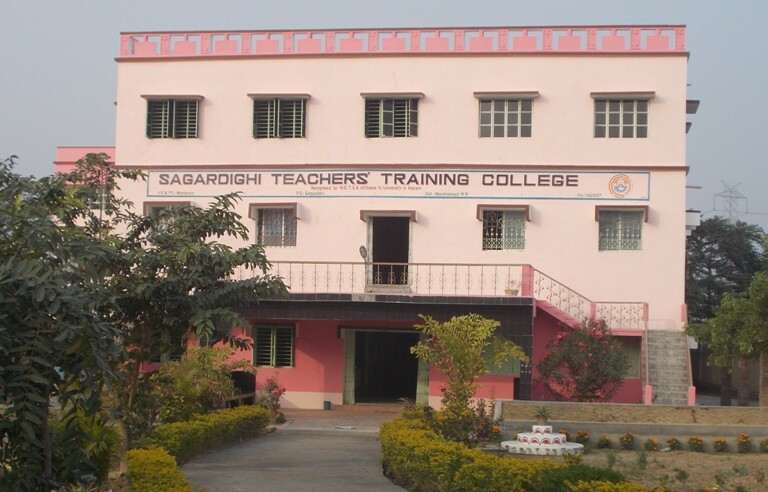 Welcome to Sagardighi Teachersâ€™ Training College, a co-educational teachersâ€™ training institution. It is a constituent college of Daharpar Educational & Social Welfare Society established in the year 2009 with an overall objective of qualitative development in the pedagogical sciences of teachers and teacher educators and to provide opportunity for such courses for the locals and students of adjoining areas. It is recognized by National Council for Teacher Education, a statutory body of Govt. of India and affiliated to West Bengal University of Teacher's Training, Education Planning and Administration for B. Ed and West Bengal Board of Primary Education for D.El.Ed. Every Corner of Sagardighi Teachersâ€™ Training College speaks volumes about its concern for Commitment, Quality, Overall development and excellence of the students. To prepare teachers of high caliber for all levels of Education in tune with the national and international goals. To make the young generation proficient in languages of effective communication and expression. To make the prospective teachers disciplined, committed, tolerant and spirited. To make each teacher trainee a master strategist, an innovator, a resource base, a catalyst for change and a mind builder. To develop capacity to be passionate, loving, knowledgeable, approachable and cheerful. To promote creativity and inculcating a sense of ethical values among all teacher trainees. To acquaint the student teachers with modern means of educational technology and communication system. To make the trainees feel proud of Indian heritage and culture and to enable them to preserve & transmit to the next generation.